Twitter has permanently banned the accounts of right-wing conspiracy theorist and radio host Alex Jones and InfoWars for violating the company's abusive behavior policies, the company said Thursday. Sam Brock reports. The accounts violated the company's abusive behavior policies, Twitter said in a series of tweets. Accounts for Jones and InfoWars were also banned from Twitter-owned Periscope. 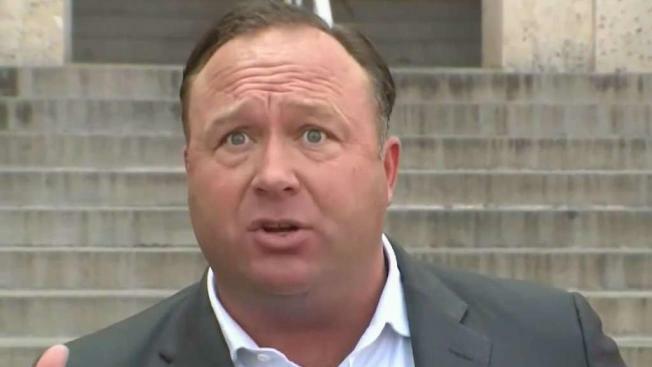 Twitter has permanently banned the accounts of right-wing conspiracy theorist and radio host Alex Jones and InfoWars for violating the company's abusive behavior policies, the company said Thursday. The ban appears to be related to a heated exchange between Jones and a CNN reporter Wednesday, which Jones live-streamed on the Twitter-owned video service Periscope. Jones ranted at the reporter, as well as Twitter CEO Jack Dorsey, following back-to-back congressional hearings where Dorsey addressed online election interference, as well as accusations of political bias and conservative censorship on the platform. "We took this action based on new reports of Tweets and videos posted yesterday that violate our abusive behavior policy, in addition to the accounts' past violations," the company said in a series of tweets. "We wanted to be open about this action given the broad interest in this case." The ban comes weeks after Jones' accounts were removed or suspended by other major tech companies including Apple, Facebook and YouTube. Twitter had initially declined to take disciplinary action against Jones, saying the accounts had not violated community guidelines, but later suspended him from posting on his accounts for a period of seven days. Accounts for Jones and InfoWars were also banned from Periscope. Jones will not be able to recreate his presence on the sites under another account.